Welcome back to a weekly feature here at Movies with Abe, Wednesday Oscar Retrospective. The Deadlocked Duel was the fourth in a series of projects looking back at the past eight years of the Oscars, dating back to the first ceremony I watched and closely followed. With the 2013 Oscar season wrapped, it’s time to take a look back at the past two years. 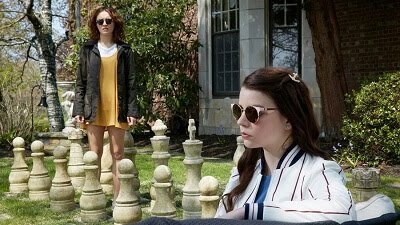 Each year after the Oscar nominations are announced, there’s at least one category where two nominees end up in a heated battle for the award right up until Oscar night, dividing predictors and keeping Oscar watchers anxiously in suspense. This series is devoted to analyzing the biggest and most intense of those battles each year, in any category. The background: “Brave” was the twelfth film made by Pixar, and the ninth since the Best Animated Feature category was created. Eight of those films were nominated and six won, which presented excellent odds for the latest Pixar production, an ambitious movie set in Scotland and diverging somewhat from typical Pixar standards. “Wreck-It Ralph,” the story of a video game character tired of always being the villain, was a Disney film that netted mostly positive reviews (I watched it a few days before the Oscars and never had the chance to write a review). Why it was just the two of them: The year before, two foreign films had scored a place in this category. Despite the release of three strong contenders - “From Up on Poppy Hill,” “The Painting,” and “The Rabbi’s Cat” - none made the cut, with my dead last prediction, “The Pirates! Band of Misfits” scoring the fifth slot. My early prediction for the win, “Frakenweenie,” was joined by a fairly similar nominee, “ParaNorman.” Tim Burton’s adaptation of his short had a shot, but it was definitely in third place. 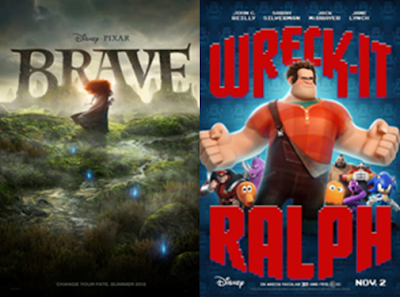 Setting the stage: “Brave” got off to a good start by taking home the Golden Globe, but then “Wreck-It Ralph” won both the PGA Award and the Annie Award. There was a sense that Pixar, which for the first time in the history of the category had been snubbed one year earlier for “Cars 2,” was overrated and that the backlash might bias voters against “Brave.” I predicted “Wreck-It Ralph” to take the gold. Oscar night: Each film merited just one nomination, and, after all, Pixar proved victorious and “Brave” won the award. Consolation prize for the loser: None. Its only tangential victory was against Pixar, which saw its 14th film, “Monsters University,” snubbed for a nomination the following year. Come back next week for the Deadlocked Duel of 2013!